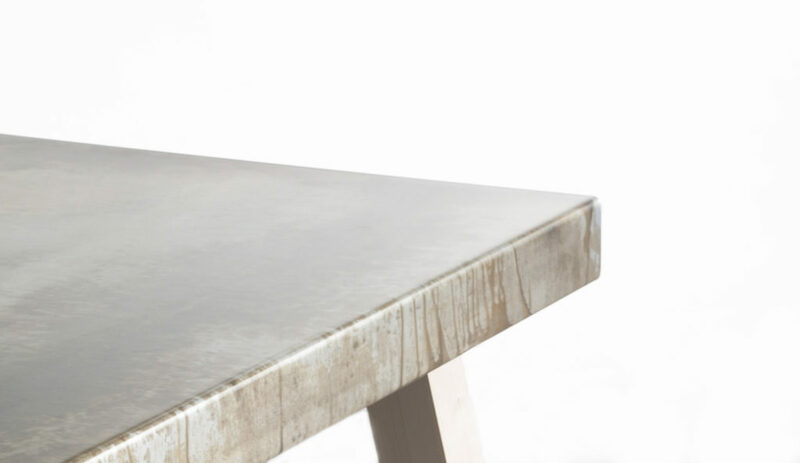 The memory of old worktables, used in craftsman workshops, becomes inspiration for a table for home and office. fastening. 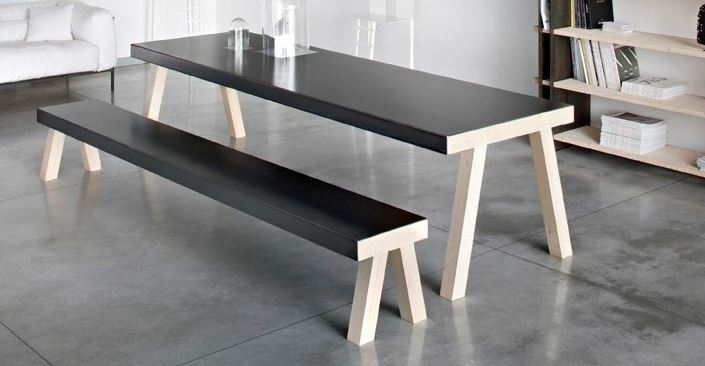 So the visible slot of the trestle becomes the main feature of this table. The design involves the taking off the trestles, spin them of 90 degrees to scroll them inside the metal soul that contains them horizontally, in order to minimize the objet footprint if not in use, the storage, the packaging dimensions and the sustainability of the global logistics. 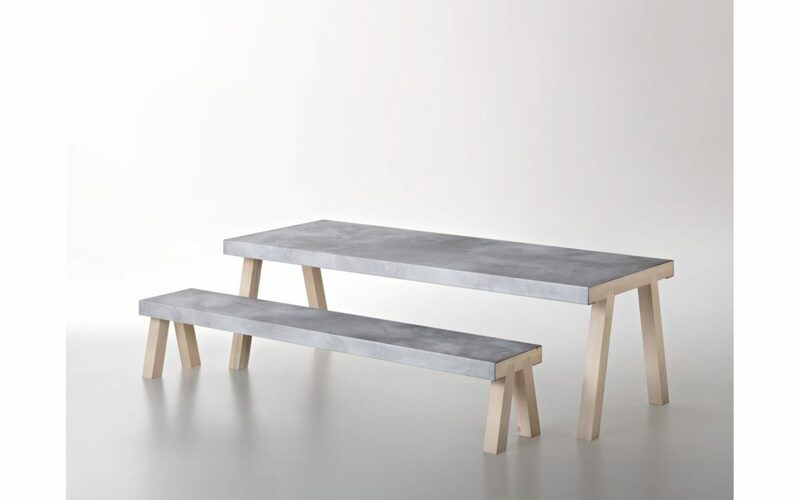 Mastro collection is completed with benches, which follow the same design inspiration.